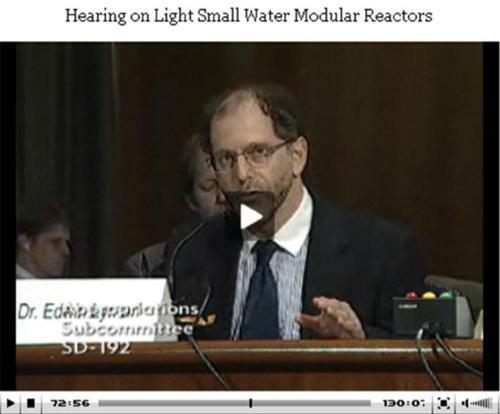 He argued that some advocates are overstating the benefits and downplaying the potential pitfalls of small reactors. Although some light water [small modular reactor] concepts may have desirable safety characteristics, unless they are carefully designed, licensed, deployed and inspected, [they] could pose comparable or even greater safety, security and proliferation risks than large reactors. Ed’s full testimony is available here, and a video of the hearing is available on the committee’s website.